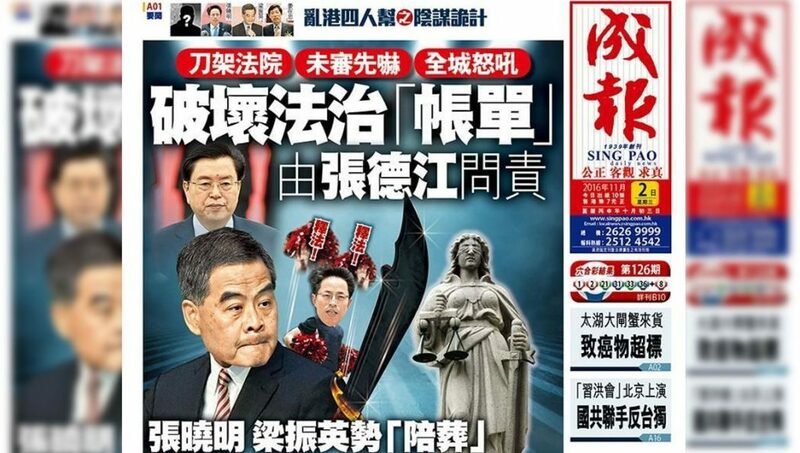 The pro-Beijing Sing Pao newspaper has accused Chief Executive Leung Chun-ying and the China Liaison Office of spreading a rumour suggesting that Beijing plans to issue an interpretation of Hong Kong’s mini-constitution over the oath controversy. The claim is the Chinese-language newspaper’s latest attack on the Hong Kong’s leader and Beijing’s powerful organ in the city. Since August, Sing Pao has been running anonymous commentaries on its front pages attacking personnel belonging to the political camp of ex-leader Jiang Zemin, which the paper claims includes Hong Kong’s leader and the Liaison Office. Sing Pao’s front page on November 2. Photo: Sing Pao. Sing Pao wrote on Wednesday that Leung and the Liaison Office made up the rumour in an effort to create chaos for their own political gain. It said that the Liaison Office directed the “anti-independence farce” by instructing pro-Beijing newspapers to highlight the controversial oaths taken last month by Youngspiration lawmakers Yau Wai-ching and Baggio Leung Chung-hang. 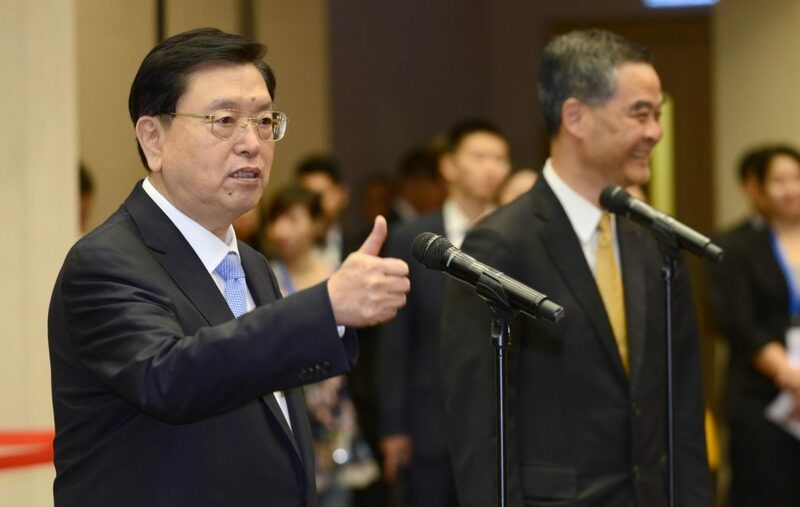 It suggested that senior official Zhang Dejiang, an ally of ex-leader Jiang, capitalised on the turmoil and created the impression that Chinese people across the world oppose Hong Kong independence and support Beijing’s interpretation of the territory’s mini-constitution. Sing Pao compared Leung’s statement to his response to the 2014 pro-democracy Occupy protests. During the early days of Occupy, it said, Leung was asked in private whether the Chinese government was prepared to order the People’s Liberation Army to clear out the protests. “Leung responded at the time: ‘Hopefully not.’ This is similar to the ‘inevitable’ statement,” it said. It added that Leung’s vague responses were akin to threats. 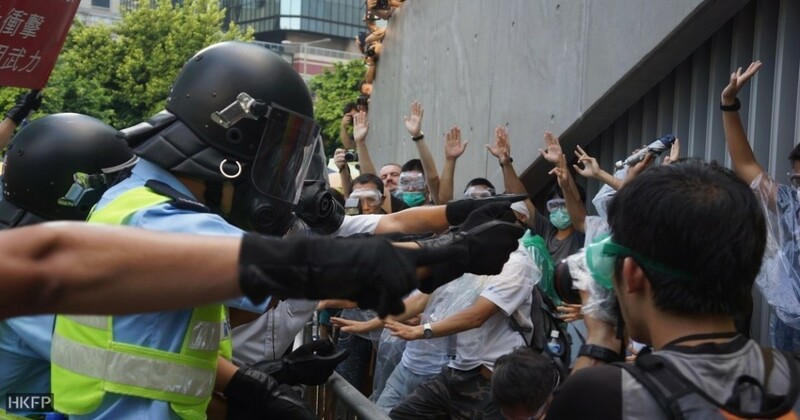 Hong Kong police during the 2014 Occupy protests. Photo: HKFP. The paper also said the China Liaison Office spread the rumour on Tuesday that Chinese President Xi Jinping had approved of the planned interpretation. But Sing Pao’s sources in Beijing said the statement was untrue. Pro-Beijing heavyweight Elsie Leung Oi-sie, a member of China’s top legislative body, refused to clarify on Wednesday whether Beijing had discussed or decided on the issue of interpretation at the Sixth Plenary meeting which ended in Beijing last week. The paper added that senior official Zhang will face consequences for allowing the Liaison Office to stir up trouble in Hong Kong. It advised China’s powerful anti-graft body, the Central Commission for Discipline Inspection (CCDI), to examine recent anti-independence petitions signed by pro-Beijing figures. 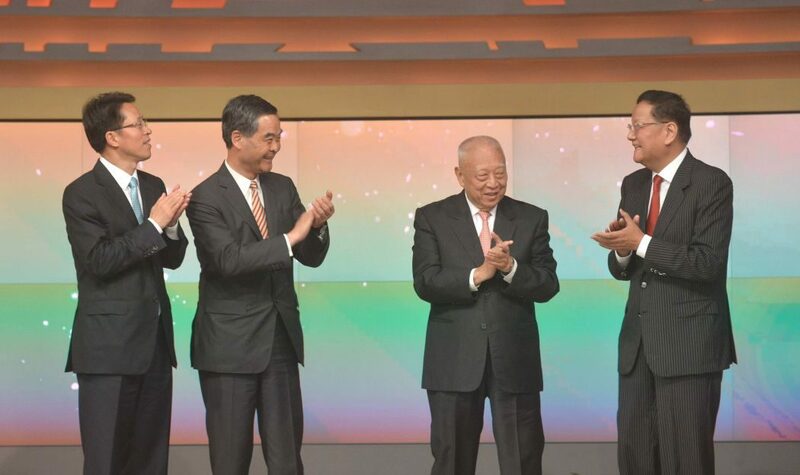 (left to right) Zhang Xiaoming of the China Liaison Office, Chief Executive CY Leung, former chief executive Tung Chee-hwa and Liu Changle attended Pheonix TV’s 20th anniversary ceremony. Photo: GovHK. “Most of the signatories have close ties with the China Liaison Office, some of whom are members of the Chinese People’s Political Consultative Conference and the National People’s Congress. 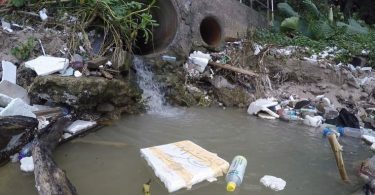 They have vested interests in Sai Wan [where the Liaison Office is located],” Sing Pao said. Sing Pao previously claimed that the Liaison Office has been expanding their political syndicate in Hong Kong. It later suggested that Zhang Dejiang and personnel associated with the camp of ex-leader Jiang will likely face consequences for engaging in corrupt practices. The newspaper has repeatedly urged the CCDI, headed by President Xi’s ally Wang Qishan, to investigate the Liaison Office. 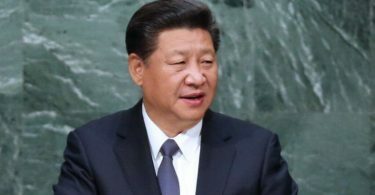 The move has led to speculation that Xi is preparing to eradicate a powerful section within the Communist Party.